As the holy month of Ramadan starts, many will refraining from food and drinks throughout the day. That is why the buka puasa dinner is important and is usually a treat to unwind the day during this season. For an unforgettable Buka Puasa dinner, head on over to Gobo Chit-Chat at Traders Hotel Kuala Lumpur and chill out to a beautiful and scrumptious feast themed as Selera Malaysia. Gobo Chit Chat is a stylish all-day dining restaurant that offers a new dimension of gastronomical cuisine. 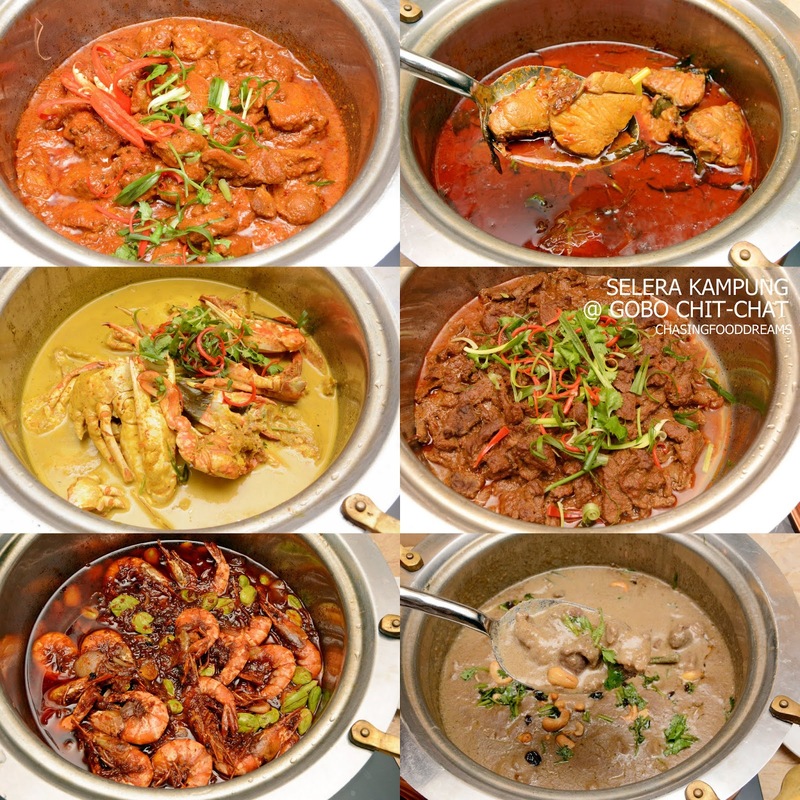 Selera Malaysia offers a plethora of dishes that Malaysians love from our melting pot of cuisines in the country. 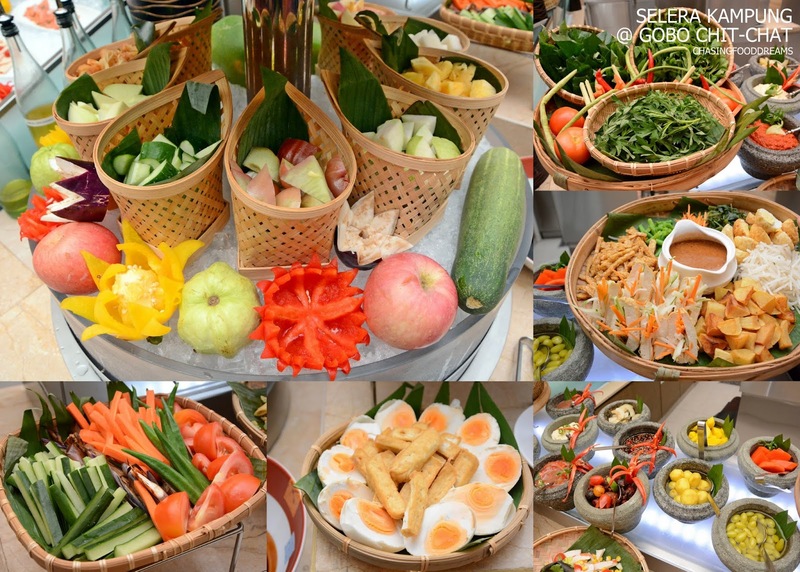 Savor lots of dishes from the Seafood on Ice Bar to the Salad Bar, Main Buffet Bar, Live Cooking Grill, Dessert Bar and more. 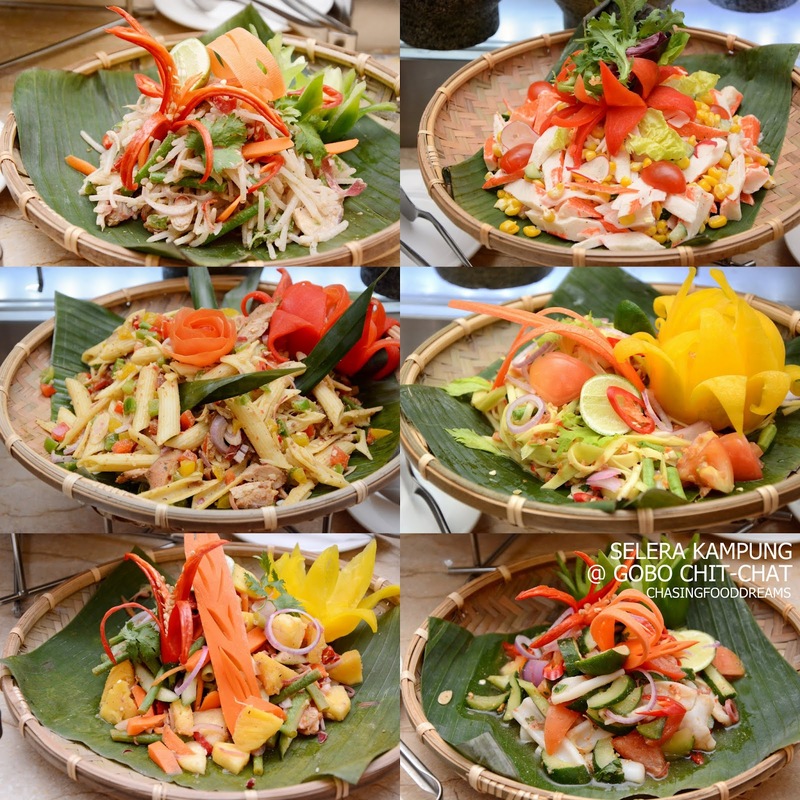 Every dishes are prepared fresh and some to order to ensure that the food is delicious and hot. Main highlights of the Selera Malaysia feast include the classic favorite Whole Roasted Lamb marinated in spices and cooked to moist and tender perfection. Besides the lamb, there are pots of scrumptious Nasi Briyani, Ayam Masak Merah and Rendang Daging which is beautifully delicious in every bite. 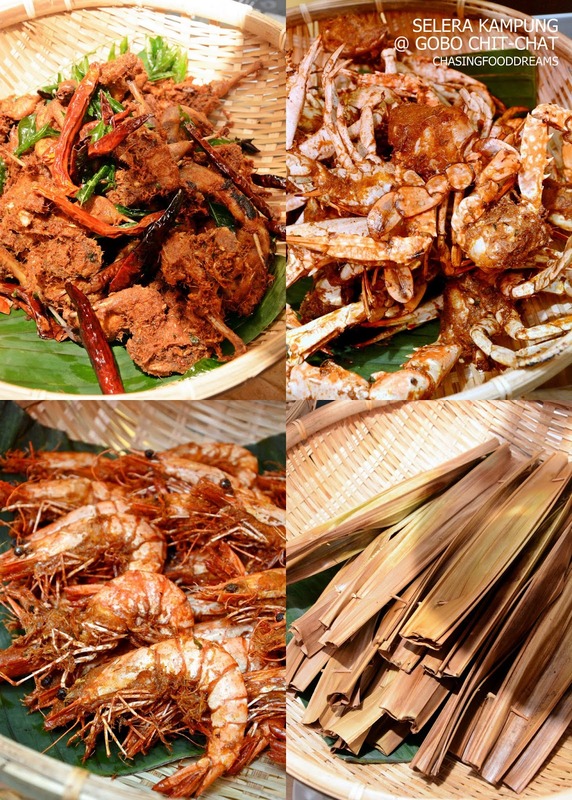 More along the same counters, diners will definitely enjoy the Goreng Goreng station where Quail, Prawn and Crab are seasoned with special rempah and fried till golden deliciousness. There is even Otak Otak Panggang, Goreng Pisang and Goreng Cempedak as well. Diners should not miss the luscious array of seafood at the Grilled or Panggang Station. Marinated and chilled on ice are a gorgeous spread of Tiger Prawns, Assorted Fishes, Squid and more. Make your choice and hand over to the chefs to grill them before savoring them with the choices of sauces. 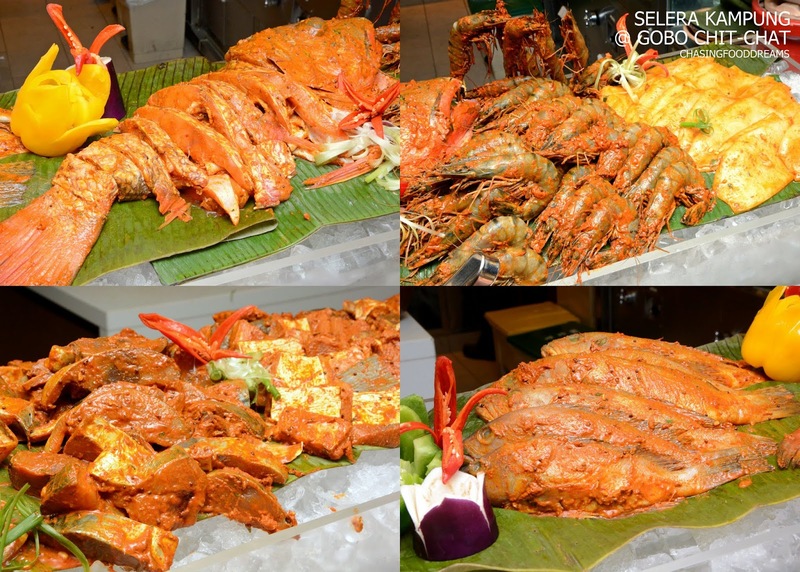 The Ikan Bakar and other grilled seafood are divine in flavours! Along the same counter, there are more pots of curries, rendangs and more to be savored with rice or roti. 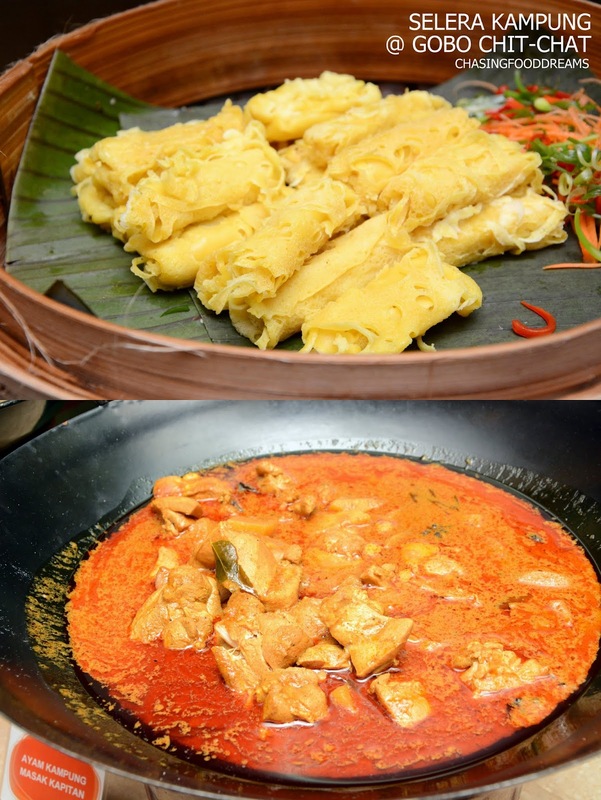 There is also Roti Jala with Chicken Curry too. 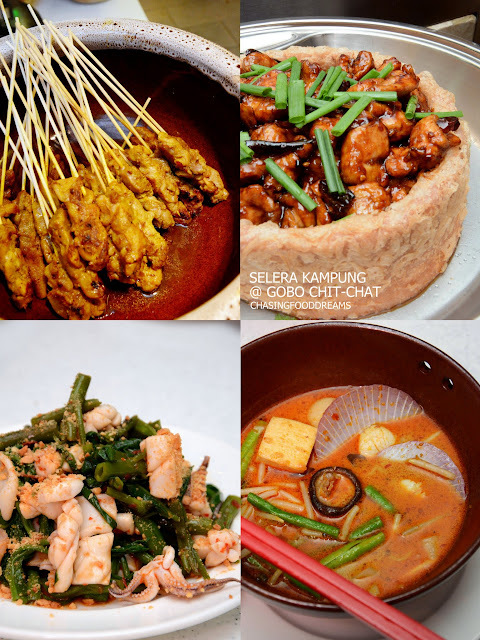 More dishes to be savored are Satay, Kangkung with Sotong, Curry Laksa and a host of other dishes from various cuisines local and international. With all the meat and seafood, there is the Kerabu station to balance up the meal. The assorted Kerabus are a kaleidoscope of colors and flavour together with lots of texture. Besides the Kerabus, there are also lots of Sambals, Jeruk Buah, Acar, Ulam, Rojak Buah, Gado Gado, Ikan Masin, Telur Masin and more. Besides the local cuisine, there is the Seafood on Ice bar filled Prawns, Crabs, Mussels and Scallops to be dipped in creamy sauces and cold cuts to go with salad bar. There is also Japanese station for Sashimi and Sushi. To quench your thirst, there is local favorite beverages such as Air Bandung, Lychee, Citrus Mocktail, Ice Lemon Tea and more. 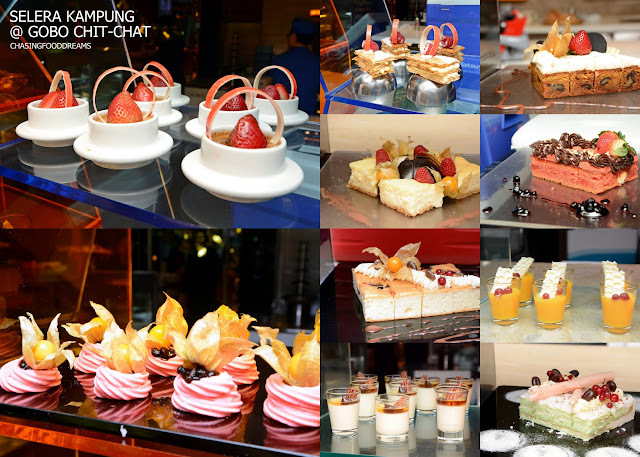 It may be quite a task to save room for dessert but it is worth the effort as the Dessert Bar is amazing and filled with lots of local and international desserts to end the meal with a sweet note. 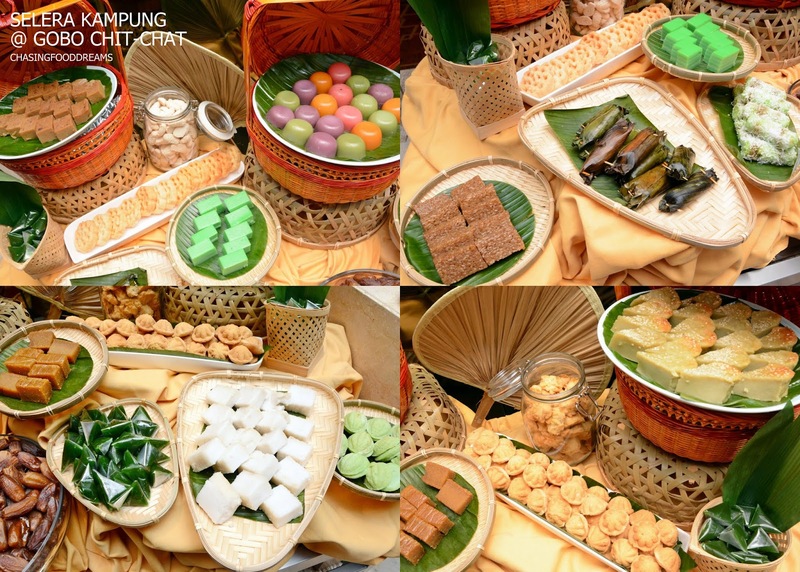 From Chocolate Fountain to cakes, puddings, tarts, jelly, macaron to local Assorted Kuih Muih, Dodol, Kuih Baulu, Kurma to Bubur Manis, choices are plenty to keep everyone happy. The Selera Malaysia Buffet Dinner is available from 6.30pm to 10.30pm daily. Throughout the promotion, for every group of six persons, one dines for FREE.